On Sunday, April 2 from 1-8 p.m., Skillman hosted a Data Rescue in association with Data Refuge and the Environmental Data and Governance Initiative (EDGI). 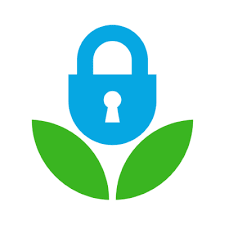 The goal of the event was to contribute to a national effort to back up vulnerable data critical for research in the environmental sciences, including areas related to climate change and renewable energy development. With Sunday’s event, Lafayette joined colleges across the country in a national effort to protect vulnerable climate date. Recent and upcoming Data Rescues include events at Yale, UC-Davis, Harvard, and Haverford, among many other campuses. Data Rescue participants hard at work sorting environmental data to be backed up by the Internet Archive. 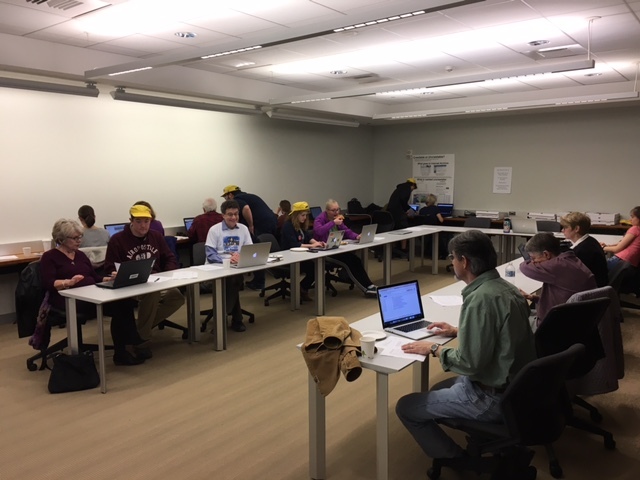 Student, librarian, and faculty “guides” at the Data Rescue wore yellow hats and brought a fantastic degree of fun, energy, and enthusiasm to the event. A huge thank you to student collaborators from the Lafayette Association for Computing Machinery, the Lafayette Society of Environmental Engineers and Scientists, and the Lafayette Environmental Awareness and Protection. Special thanks also to the Provost’s Office, International Affairs, Psychology, and the team at Skillman Library. This entry was posted in Digital Scholarship Services, Events, Uncategorized by Charlotte Nunes. Bookmark the permalink.